When you’ve suffered a personal injury because of someone else’s negligence, you know how hard it can be to get the medical care and compensation you deserve. Personal injuries include car wrecks, slip and fall claims, dog bite cases and more. 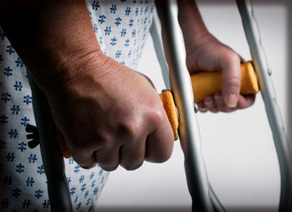 In many personal injury claims, those responsible try to avoid paying the compensation to which you may be entitled. Many insurers simply refuse to pay the medical costs from a car crash without a fight. Wirth Law Office team includes experienced car accident lawyers and Tulsa truck accident attorneys ready to get you the compensation you deserve after a motor vehicle accident. If you’ve been in a wreck, it is now more important than ever to protect your financial interests by hiring an experienced and aggressive personal injury lawyer. 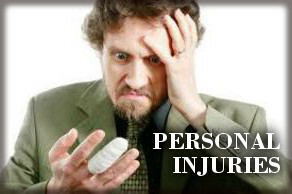 If you have been injured and it’s not your fault, call the Tulsa, Oklahoma personal injury attorney at (918) 879-1681. When a vehicle crashes into you, or another driver causes an accident, that driver is responsible for any losses and damages you might suffer. That includes damages to your vehicle, personal injuries and consequential damages resulting from lost work, loss of irreplaceable items, extra household costs, extra transportation costs while you repair or replace your wrecked vehicle and more. Insurance companies are understandably eager to settle with you as soon as possible for as little as possible. That’s why they so often encourage you to accept their first offer without question. 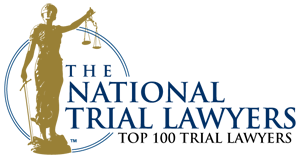 When you are surrounded by adjusters and agency lawyers, it can seem impossible that you’ll ever be fully compensated for your losses. You might think you can’t afford your own attorney. Think again. Don’t settle for less than you are entitled. When a person is prepared to prove their claim and be ready to go all the way to a jury trial if an insurance company acts unreasonably, they are more likely to get the compensation they deserve. Because adjusters know most drivers involved in accidents don’t lawyer up and prepare for a jury trial, it can be difficult to get a full compensation without an aggressive personal injury attorney on your side. If you have been injured in an car accident, call the Wirth Law Office for a free consultation and case evaluation. The call is free and if you hire our experienced motor-vehicle accident attorneys, you pay nothing until you are paid the money you deserve. Call now at (918) 879-1681. It’s a simple obligation: businesses and property owners owe it to customers and guests to exercise ordinary care so that their premises are reasonably safe. That means at least warning you about, if not removing any hidden dangers they know about or they should have discovered. That’s not always the case. Businesses sometimes neglect to repair or warn customers about dangerous conditions. People sometimes get hurt as a result. That is when a Tulsa slip and fall attorney might be your best ally. If you have been injured on while you were on someone else’s property, call the personal injury lawyer at the Wirth Law Office, for a free claim evaluation and consultation. Let us find out whether you are entitled to compensation. Call (918) 879-1681. Every year, nearly one in 50 Americans is bitten by a dog — usually by a dog that is considered a pet. An average of 17 Americans die each year after being bitten and sometimes mauled by a dog, or sometimes by several dogs. Animal bites are common, but it doesn’t necessarily mean it’s your fault when someone else’s dog or animal turns on you. Dog and animal owners have an obligation to pay for the damages caused by their pets and animals. The fact that an animal hadn’t previously acted up is no excuse. Reasonable care by dog or animal owners can prevent injuries. When an owner fails to protect you from their pet or animal you may be owed compensation. If someone’s dog or animal has inured you without provocation, you are entitled to damages for your loss. Call the dog bite lawyer at the Wirth Law Office for a free consultation to find out what your case may be worth. Call (918) 879-1681. The data is stunning — nearly 100,000 Americans die each year as a result of preventable medical errors. The American Association for Justice says medical errors are the sixth leading cause of death in recent years. Far more are injured. Many of those deaths and injuries result from medical malpractice — acts or omissions by physicians or health-care practitioners who deviated from standards of care accepted among the medical profession. When you or a loved one is harmed by medical malpractice, you’re not just a statistic. Nor are you taking money from a helpful caregiver’s pocket when you ask to be made whole after an avoidable medical error. Because medical malpractice is so widespread, medical providers must carry professional liability insurance to underwrite the risk and costs of lawsuits based on medical malpractice. Oklahoma legislators have recently made the procedures for pursuing a medical malpractice claim more difficult. That’s why you need the legal counsel and expertise of a medical malpractice attorney when you’ve been injured by a doctor or caregiver’s negligence. Plus, medical standards and regulations vary among different jurisdictions. It’s important to hire a qualified local attorney. 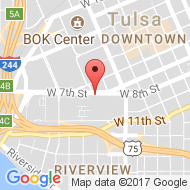 For a free consultation with a Tulsa, Oklahoma personal injury attorney, call (918) 879-1681. Oklahoma workers compensation law differs from personal injury law in several regards. If you’re injured on the job, the employer may be liable. In as much as an injury or death resulted from the employers or a coworkers actions, workers compensation claims are usually the sole remedy available to an injured worker. But some on the job injuries or fatalities involve liability on the part of others. A worker injured on the job as the result of actions by someone other than the employer or a coworker may file a personal injury claim. To find out more about benefits available for an injured worker, contact the Tulsa workers compensation attorney. If you would like a free consultation with an Oklahoma attorney or Tulsa lawyer regarding a personal injury, call the Wirth Law Office – Tulsa at (918) 879-1681 immediately. You only have a limited amount of time to file a claim if you’ve suffered a personal injury.